My intention is that this should be a fast post. I give major kudos to Amy for getting me excited again about sharing my little recipes with the larger community. I love you: River Road Gardens, Tucson CSA, Sleeping Frog, Walking J, Sunizona, etc, etc and more. Here’s to the new RRG Sunflower! This post is pretty much a practical application of my last post, Spicy Mama Sauce, but updated with a gentle palette and a few more share ingredients in mind in order to make a complete dinner. 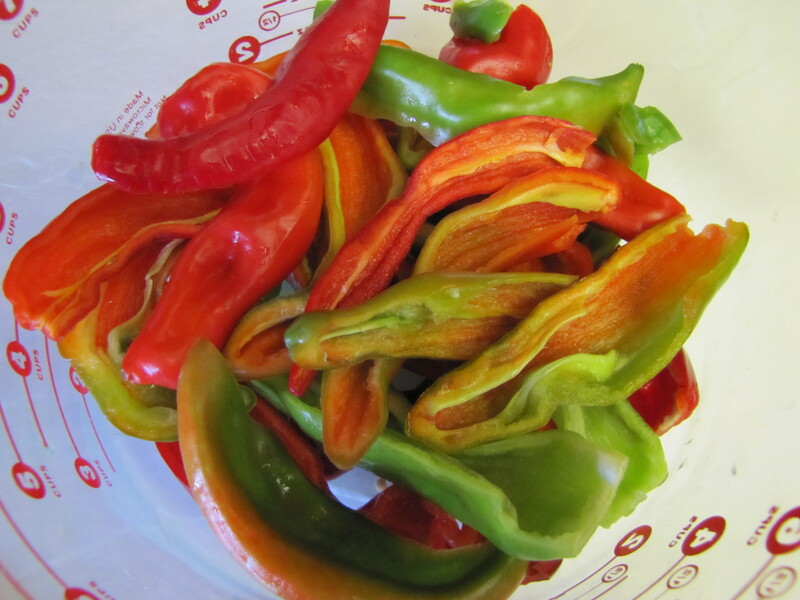 Start by making a half recipe of Spicy Mama, with all Anaheims (current RRG variety) for a so-so-slightly spicy meal (suitable for my 4-yr old) or all Jimmy Nardellos/sweet reds for a totally sweet rendition. Toast seeds, with or without oil on medium high for about 30 seconds. Blend seeds, rose hips, garlic, honey, peppers and vinegar for a few minutes until smooth. Pour marinade over a spatchcocked chicken. This is where the “half” comes in. If you’ve properly spatchcocked your chicken, you’ve trimmed out the entire backbone. If you’re me, you can only bear to trim along one side of the backbone, leaving it all to roast in the flavor. Thus “half”. And who doesn’t love to discuss things that are… Usually I would have one of Josh’s Foraging Fowls for this recipe, but this time a Trader Joe’s Organic Hen was quite delicious indeed. Marinate your chicken for at least 2 hours, but 5-18 would be even better. 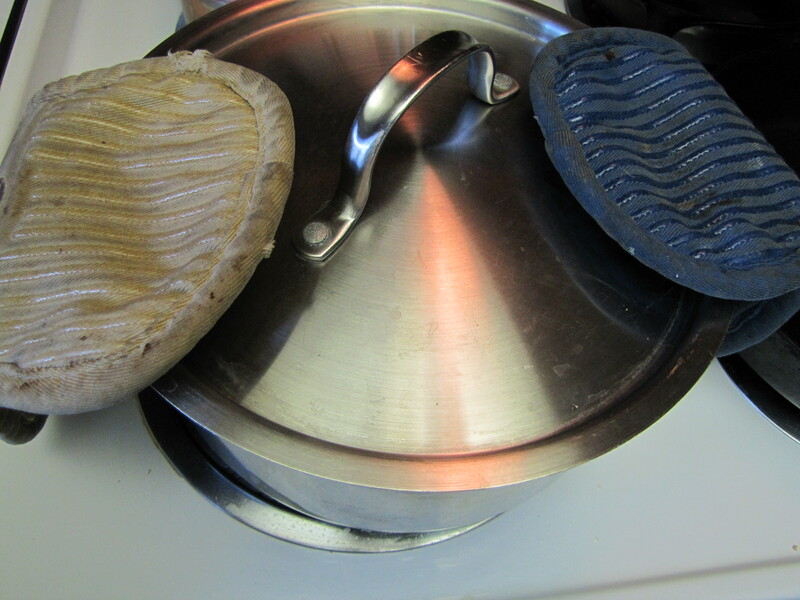 Preheat oven to 425˚. 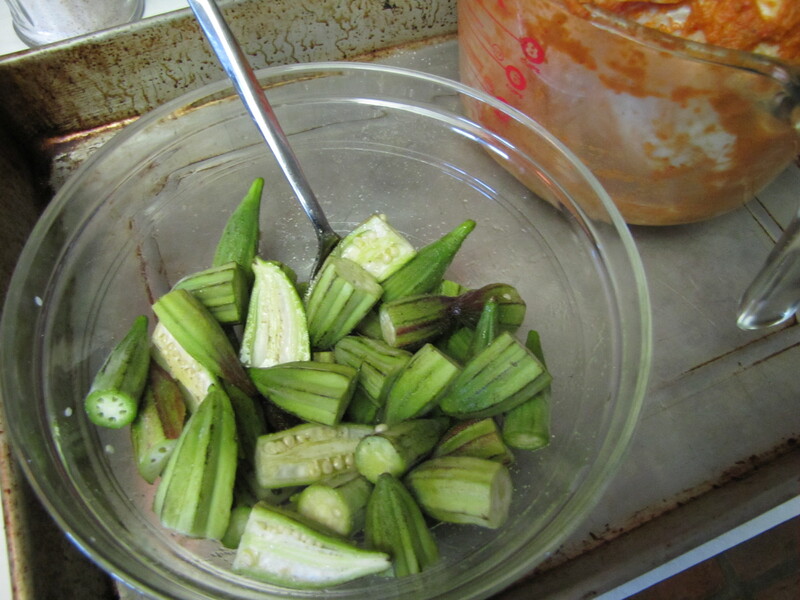 Prepare as much okra as you have. 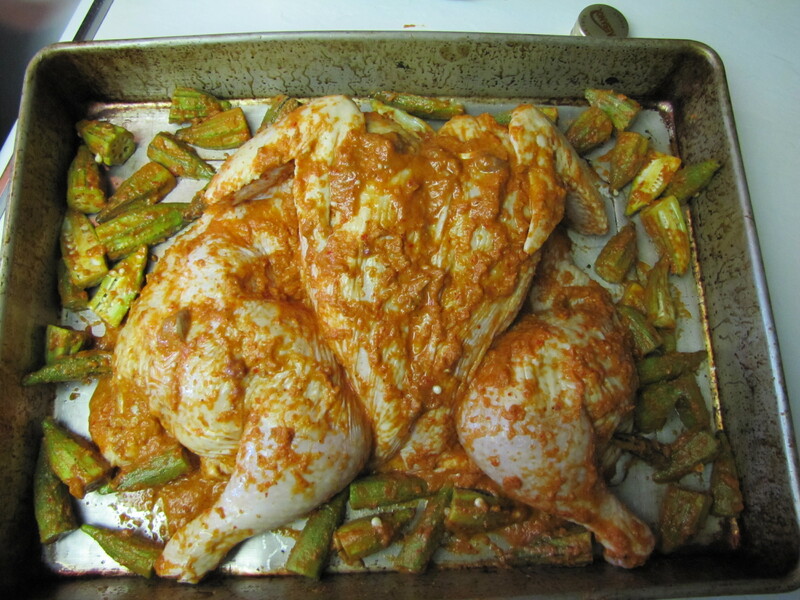 I’m warning you: this marinade, atop okra, is so delicious you’ll wonder why you even allow your children to eat vegetables. Drizzle the okra with olive oil and salt slightly. Press chicken out into roasting dish, breaking breast bone. 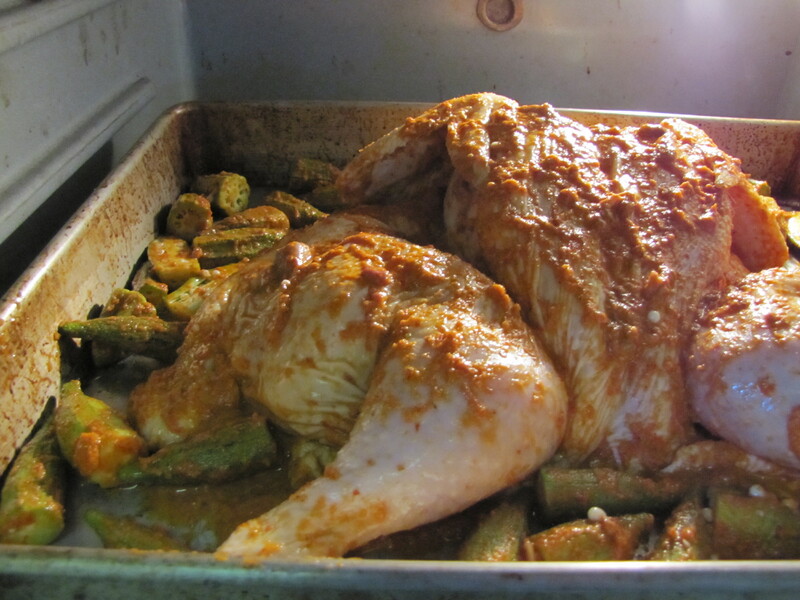 Toss okra with remaining (1-2T) marinade (the stuff that was on the chicken…don’t worry, you’re about to cook the bejeezus out of it). 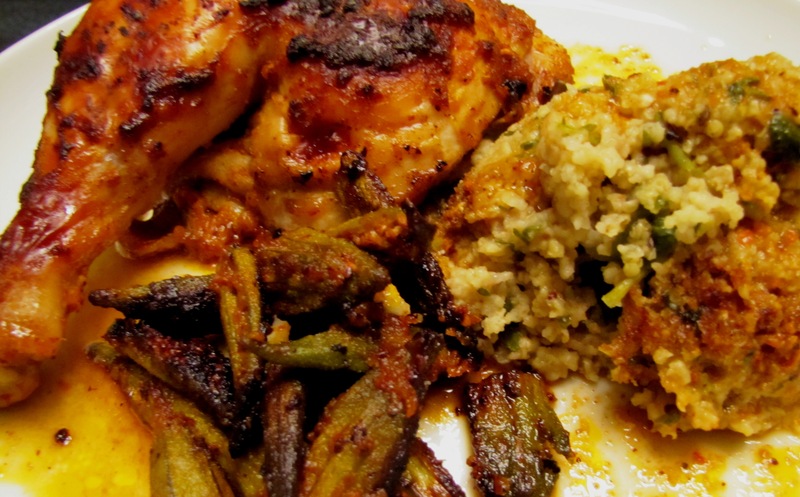 Spread okra around chicken. Roast @ 425˚ for about 45-50 minutes, until thick part of the thigh or breast registers 160 degrees (then take out of the oven and rest, assured you will reach 165˚ and will have insanely juicy chicken that your whole family will devour). 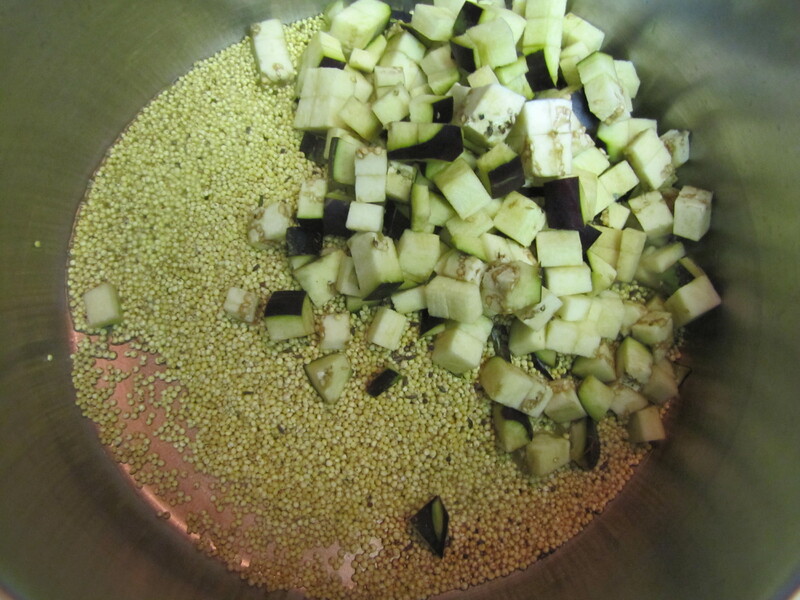 Over medium-high heat, toast millet, eggplant, caraway & mustard seeds & olive oil for about 5 minutes. You do this the way you make old-fashioned popcorn. Lift from heat and shake every 20 seconds or so. You’ll hear a subtle popping sound. 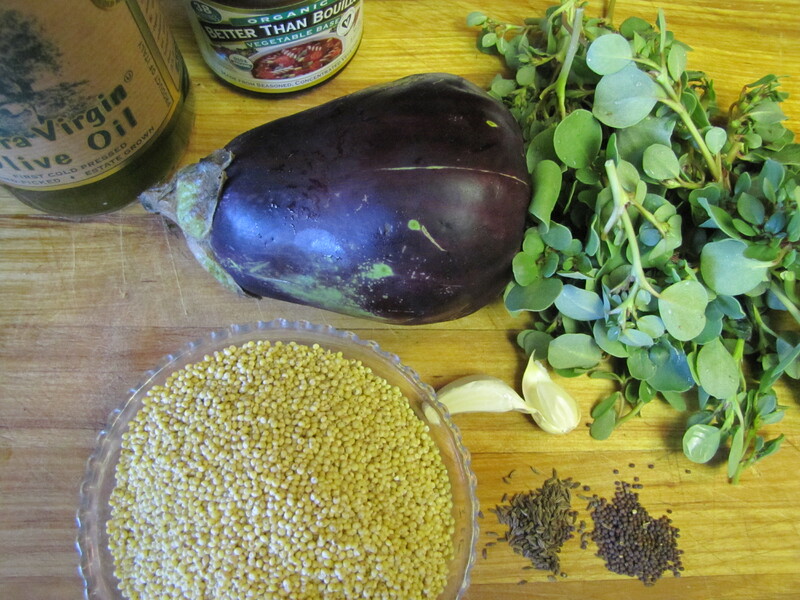 After 5 minutes, add garlic, 3 cups vegetable broth and purslane. Simmer on low about 30 more minutes. Devour. Hopefully with afore-mentioned chicken.